COZYRIOT = a group of people who spread the feeling of cozy and warmth. 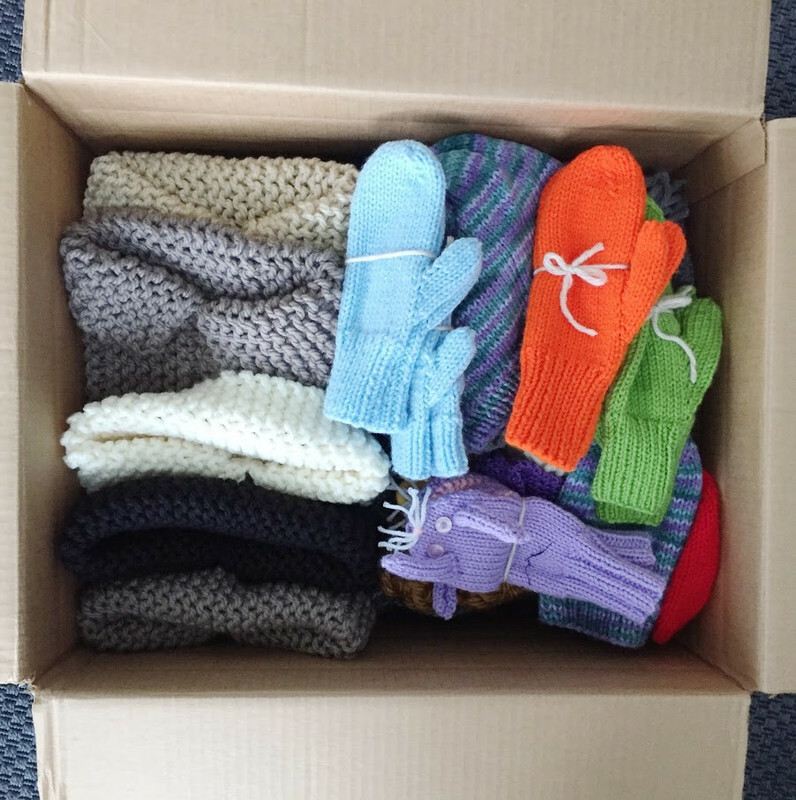 Winter 2019 - This season our Cozyrioters collectively donated multiple boxes of handmade hats, mitts and scarves to Reception House Waterloo Region. This community-based organization provides a warm welcome to government assisted refugees by offering programs and services that enable them to live healthy and productive lives in Waterloo Region. Our Canadian winters can be harsh, and we want everyone to be cozy and warm! Thank you everyone a million times over for your collective talent and generosity! 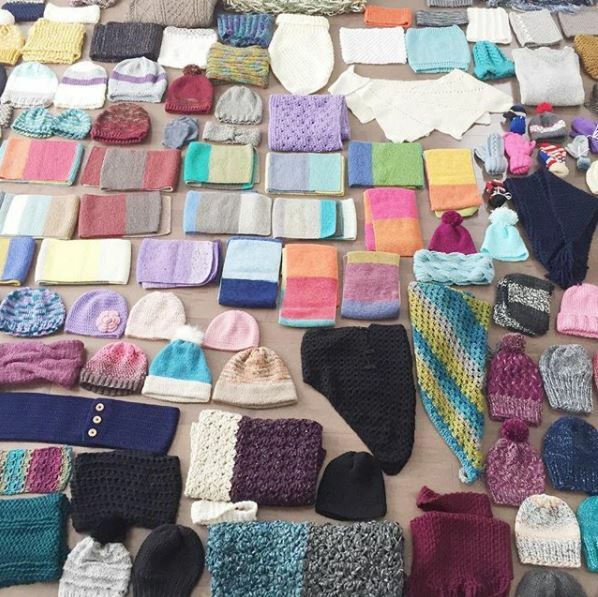 Winter 2018 - Our Cozyrioters handmade over 100 accessories and outer wear which were then distributed to those in need by students at Huron Heights. A wonderful community collaboration! Thank you everyone who participated. 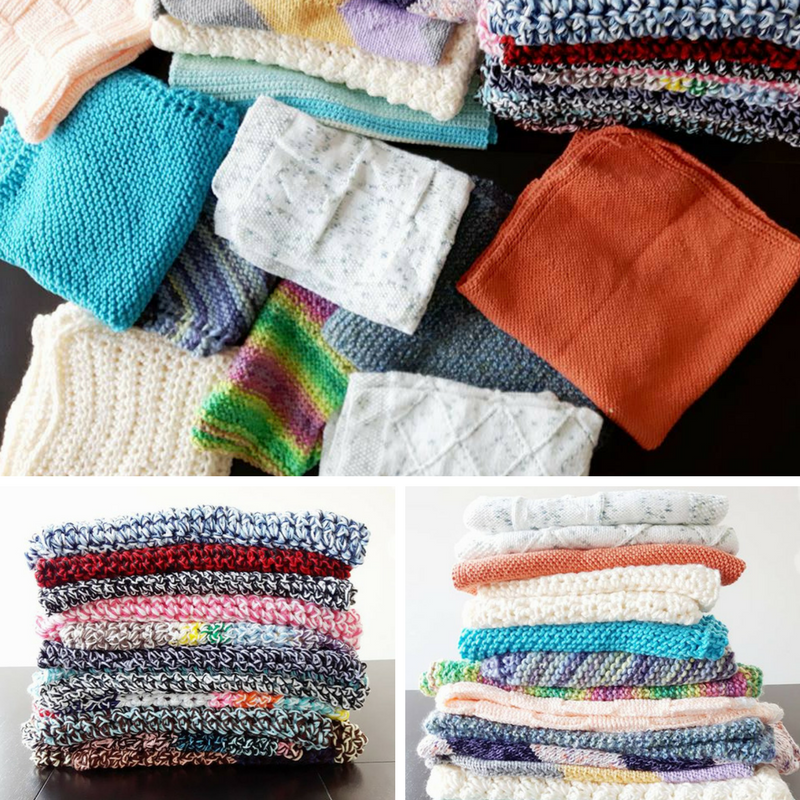 Summer 2017 - Soft and cozy baby blankets were handmade by our Cozyrioters and given out to the babies and children in care at Grand River Hospital. Oodles of snuggles will be made with these! Thanks to everyone who contributed! 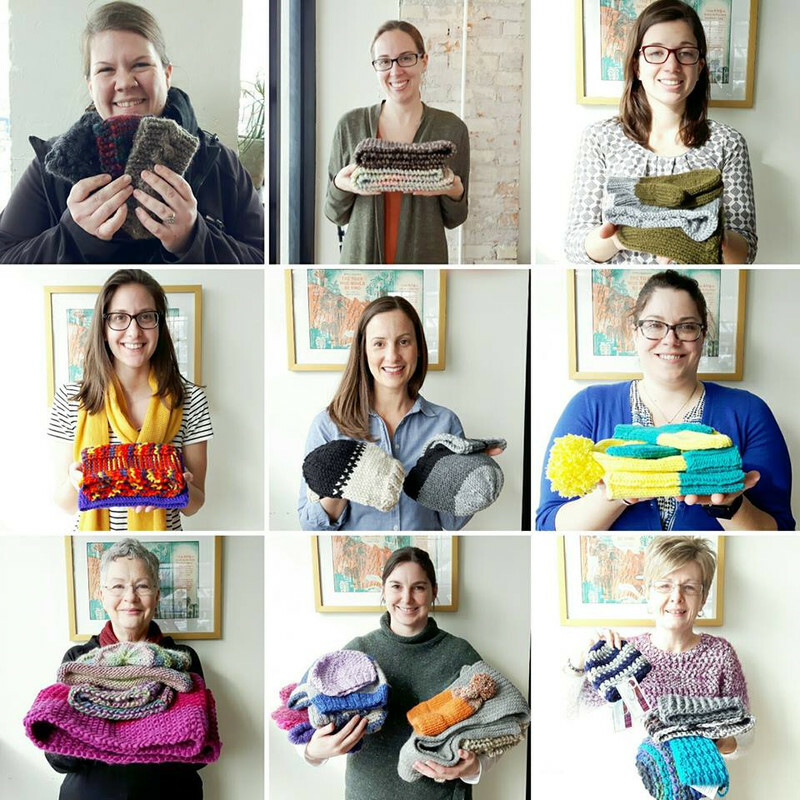 Winter 2017 - Our amazing CozyRioters provided handmade mittens, scarves and hats to the families who reside at the Women's Crisis Centre in Kitchener, ON. Thank you to everyone who donated their time, talent and yarn!